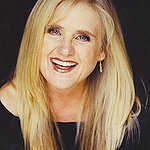 The voice of Bart Simpson, Nancy Cartwright, will be one of the attendees of the first annual San Fernando Valley Children’s Day event this Saturday, November 22. Hosted by NBC’s Fritz Coleman, the day will feature a whole heap of fun and games like face painting, a space museum, a petting zoo, rock climbing, a pro skateboarding demonstration, and members of the LA Galaxy soccer team will be on hand for a special David Beckham Soccer Academy. There will also be live entertainment from Aaron Carter, and an appearance by Laker great AC Green. Children’s Day is celebrated in many countries, but the biggest and grandest celebration is in Turkey, where an International Children’s Day was established in 1935, and now every April sees children from all over the world come to Turkey for a week of celebrations and festivities. Many of the events are broadcast on Turkish TV, showing the children in their traditional national clothing as they sing and dance. Then, to cap it off, on April 23rd the seats of Parliament are held by children, and a child even becomes President for the day, delivering a speech on national TV! In the United States the first proclaimed Children’s Day occurred in 1856 when a Christian pastor in Massachusetts dedicated one Sunday every year to Children. Since then many other denominations have set aside one day every year to honor our children, and in 2000 our federal government recognized the importance of celebrating our children by proclaiming November 16th as Children’s Day. The San Fernando Children’s Day celebration will run from 9am to 4pm at Woodley Park, Van Nuys, California.